The month of September is dedicated exclusively to the works of Joel and Ethan Coen, two of the best filmmakers of the last few decades. Last week, we took a look at Fargo, arguably their breakout hit. Today, we’re looking at a film that wasn’t a box office smash but has gone on to become perhaps their most notorious and popular work. 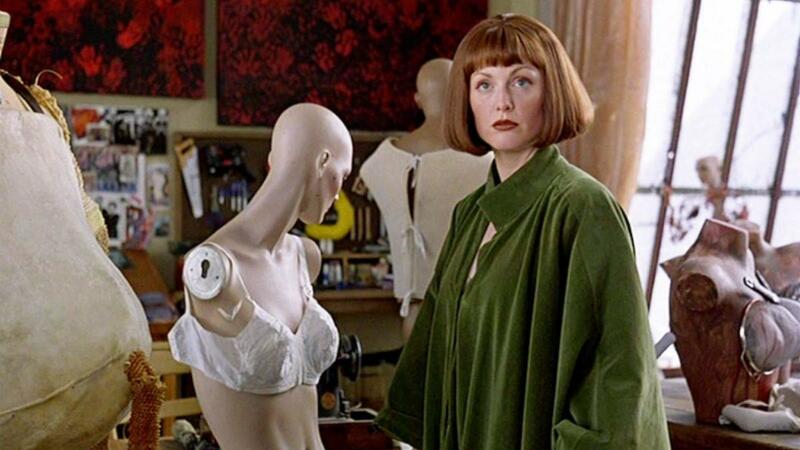 When The Big Lebowski hit theaters in 1998, the results were anything but spectacular. Making just $28 million worldwide, the film wasn’t anywhere near the financial success of Fargo, partly because nobody seemed to know what to make of it. Reviews weren’t so much negative as they were baffled by the product. Had the Coens lost their minds? Possibly, but it turns out that the movie needed to find its audience on home video, becoming one of those movies you just had to share with your friends and watch over and over. It has gone from mild flop to college dorm room staple to a genuine pop culture phenomenon. And it’s the subject of far too many books, essays, video reviews and possibly a religion? Now, sometimes there’s a movie, and I’m not saying it’s a classic, because what’s a classic? But sometimes there’s a movie, and I’m talking about The Big Lebowski here. Sometimes there’s a movie that’s the right movie for it’s time and place. Sometimes there’s a movie… sometimes there’s a movie. Aw hell. I done introduced it enough. So to be honest, I was hesitant to pick this film for Coens month, not because I don’t think it’s a classic or a film that’s worth discussing, but because there has been so much discourse about this movie in particular. Virtually every film theory has been applied to it, it’s been used as a critique on everything from U.S. war politics to economic counterculture, and the so-called tennents of The Dude form the basis of a nearly spiritual philosophy for some. That’s a lot to unpack, and it makes this film a daunting task for anyone to cover. With that said, I want to self-deprecate for a moment and ask you all to please lower your expectations. This is not a college dissertation and I’m not saying anything that hasn’t been said more eloquently elsewhere. I’m just a guy who loves movies and wanted to talk about the Coens for a month. Okay? Okay. With that out of the way, The Big Lebowski is a film that baffled me the first time I saw it, but in a way that entertained and intrigued me instead of alienating me. Every subsequent viewing has improved my opinion of the film, including this one. I consider it to be one of the funniest movies ever made, thanks in large part to the start-stop dialogue but even more so because of the needlessly complex and ultimately unimportant plot. 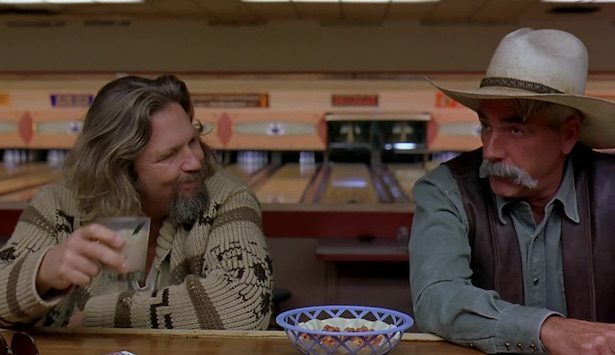 Listening to the dulcet tones of Sam Elliot as he fumbles about his introduction to The Dude the constant interruptions of Walter, Donny and The Dude in the bowling alley set the stage for a film that doesn’t care if you understand it, so long as you’re amused by it. The humor is also broad, as the Coens throw everything from elaborate dream sequences and a bizarre John Turturro performance to explosive violence and an extremely dark joke involving cremated remains in a coffee can. The first time you see all of this it’s hard to digest, but once you’re in on the joke it becomes outrageously hysterical. 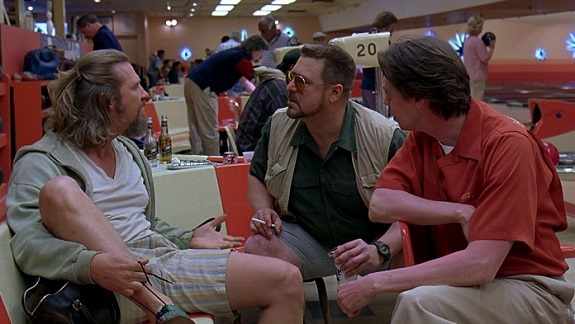 While there are many themes strewn throughout The Big Lebowski, including the Coens’ usual battle between absurdism and nihilism, the one I want to focus on is how the film treats the subject of masculinity. More than one character asks the question of what makes a man, sometimes bluntly and sometimes by mere suggesting. Mr. Lebowski asks if being a man is always making the morally right choice, his daughter seems to have made it her goal in life to dress down the fragility of the male ego, and the nihilists who “kidnap” Bunny make it clear that their plan is to emasculate The Dude through literal castration. Walter is a hyper aggressive character who seems obsessed with forcing his image of manhood onto everybody else, constantly referring back to his time in the Vietnam War, asserting his usually wrong opinion as the only viable option, and leaping to use violence as a solution to the smallest of slights. He embodies the film’s concept of extreme fear of emasculation, and serves as a contrast to The Dude. While Walter is often a very funny character, the film clearly rejects his philosophy and sides with his Dudeness. In many ways, the film is a debunking of the classic hero myth; The Dude is neither highly motivated nor hyper aggressive, though he does have a moral compass and can be pushed to his limit. But as the film so succinctly puts it, The Dude abides; he goes through life rolling with the punches, hurting nobody and just enjoying his life, regardless of how others view him. He’s embraced the mundane joys of life, a stark contrast to a recurring theme in film next year. Films as varied as The Matrix, Fight Club, and Best Picture winner American Beauty are all escapist fantasies for the put-upon middle class man, a call to rise up from complacency and take the world for yourself on your terms. The Dude is about being content and mellow and just existing in the world. While it’s not exactly an ideal to strive for, perhaps it’s healthy to have a fantasy and projection of masculine self-worth that’s on the opposite end of the spectrum. Not a hero, but just The Dude. 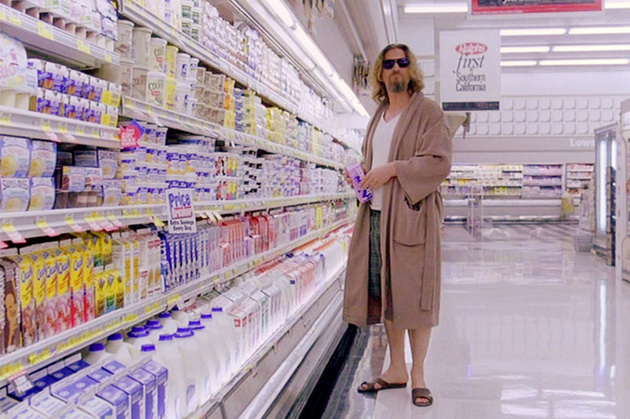 The Big Lebowski doesn’t have any major flaws or blemishes, at least from my current perspective. I do remember being baffled and annoyed on first viewing because the film never really ties up its various plot threads, and it isn’t satisfying in the traditional sense. But that wasn’t what the Coens were going for with this movie. Indeed, “traditional” is something the Coens seem to actively avoid. 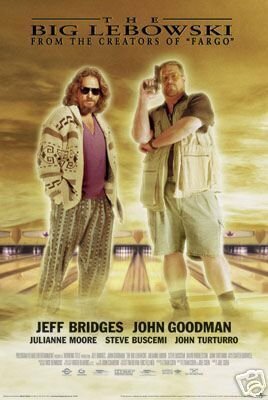 So if you haven’t seen The Big Lebowski and you find yourself frustrated on first viewing, I recommend coming back to it with the perspective that the plot is unimportant, and you’re just there to be entertained and possibly enlightened by the conversations that unfold throughout the film. The Big Lebowski is certainly a classic, probably the Coens’ funniest movie and the one that most plainly states their mission as filmmakers. I don’t think it’s their best work, as I tend to enjoy their more focused films like A Serious Man a little more than the haphazard insanity of this or Hail, Caesar!. But it’s one of my favorite comedies and a film that I always enjoy revisiting. 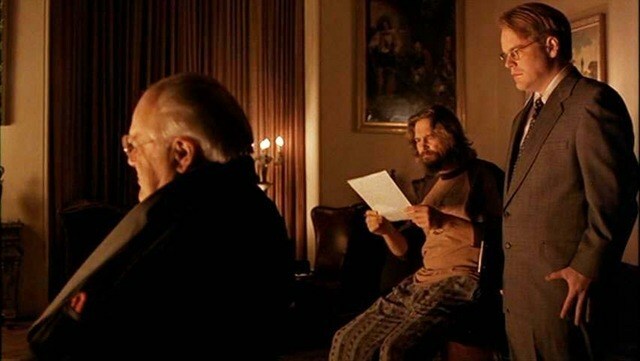 I also think it’s criminal how overlooked the movie was in its time, as Jeff Bridges and John Goodman both deserved Oscar buzz for their performance. I’m glad it eventually got the recognition that it deserved. I log reviews for every film I see, when I see them. You can see my main page here. Recent reviews include Tag, Robin Hood: Prince of Thieves and A Serious Man.